The union is run by a former reform/opposition caucus- Amy Perruso is the secretary of their union, and part of UCORE. Hawaii public school teachers would see multiyear pay raises totaling nearly 14 percent under a tentative four-year contract deal reached with the state today. The Hawaii State Teachers Association’s board of directors unanimously voted to recommend the proposal to its 13,500 members for ratification next week. The pay raises — which HSTA says would amount to 13.6 percent — include a combination of pay grade step increases and across-the-board 3.5 percent raises in alternating years. The average annual salary for a 10-month teacher for the current school year is $58,959, according to the Department of Education. Under the deal, Rosenlee said, the state also would increase its share of health insurance premiums. Currently the cost split varies among plans for teachers, but under the most popular health plan, the state covers 59 percent of the premium. Rosenlee added that the tentative deal allows for HSTA to renegotiate health plan contributions and professional development in years three and four of the contract. The proposed deal is significantly higher than what state negotiators had proposed in earlier rounds of contract talks. The state had offered teachers annual 1 percent lump-sum bonuses that would have been paid out in October of this year and next year. The union had balked at the earlier offer, which would not have amounted to a raise because the bonuses wouldn’t be rolled into teachers’ base pay. HSTA said at the time that the average bonus would have been approximately $500. Rosenlee credited Gov. David Ige’s involvement in negotiations for the more generous offer. By comparison, under HSTA’s existing 2013-17 contract, the union secured annual raises of at least 3 percent, with alternating step-ups and 3.2 percent across-the-board raises. The union used what’s known as a re-opener clause to negotiate additional compensation for the final two years of that contact, including a one-time $2,000 bonus and a 1.8 percent raise that will kick in June 30, when the contract expires. If a simple majority of teachers — 50 percent plus one vote — who vote on the proposed contract Thursday approve the agreement, the contract will begin July 1. A successful ratification vote would allow for the Legislature to fund the settlement by its April 28 fiscal deadline. The deal will also increase the state’s contributions to teachers’ health insurance premiums. 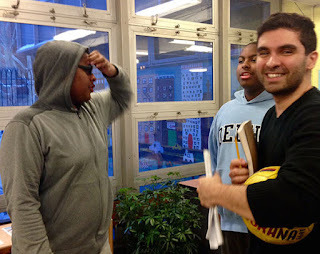 Harlem Charter Sues DOE Over Closure Citing Misuse of Data - Where R U UFT? Let's do as charters do. We have found that putting a stake in the heart of a charter school is tougher than killing off Dracula. While the UFT dilly dallies over what to do about JHS 145 whose closing this June was announced at the March PEP meeting, charters that are closed resist. Can They Close a Zoned School Without CEC 9 Vote? HARLEM — A judge is allowing a charter school that serves students with learning disabilities to move ahead with its enrollment lottery, after the school sued the city in response to its decision to shutter the charter due to poor performance. CPE1 Parents in shock at Apr 24 UFT Ex Bd as Unity refuses to take reso of support off the table. In his brief report, Michael Mulgrew promised action on CPE1. We'll wait and see -- the UFT refuses to publicly call for Garg's removal despite the massive accumulation of evidence. Even her own CSA seems to be raising issues -- a rep asked Farina to publicly defend Garg with reasons and all she said was that there was another side. (Some of the real reasons for resisting were laid out in my post last night that personal pique may be playing a role -- Deb Meier, Jane Andrias, Two Former CPE1 Principals Question Farina/DOE on Intentional Destruction. The UFT Exec Bd meetings, moribund for so many years, have turned into high drama at times this year as MORE/New Action have teamed with various groups to bring their grievances directly to the UFT Ex Bd meetings, often using a combo of the pre-meeting speaking time for non-EB members and the question and motion period by the MORE/NA high school reps.
Last night was another remarkable event, made so by the largest group of parents yet to show up --- as Arthur wrote after the MORE meeting on Saturday - "I have sat with some of the most intelligent and persuasive people I've ever met, and I'm persuaded that this school was created with a mission that's being perverted by its current leadership." Amen. As a skeptic about the worth of winning these EB seats - after all, you are speaking to Unity Caucus - I must say that the MORE/New Action reps have made these meetings worth attending again. Real debate has taken place, which you don't see at Delegate Assemblies. And the leadership has been responding, sometimes in positive ways. Our crew pre-meeting an hour before the EB meeting gets everyone ready - these pre-meetings are open to anyone and there is lots of back and forth. Another aspect has been doing what ICE began to do a decade ago -- bring various constituencies to these meetings -- sign up for speaking time and have our people ask pertinent questions or bring up resos -- all turned down, severely modified or tabled by the leadership --- see Arthur's great blog post: Contrary where he points out that our people have supported almost all Unity resos while they automatically turn down ours -- sort of like the Republicans saying they won't give Obama any victories. But nothing has galvanized these recent meetings until large numbers of CPE 1 parents began to show up, some with very young children. Now let's say right out that they have been treated with the utmost respect and courtesy by union leaders. The other angle has been bringing current and former CPE1 teachers to sign up for the 10 minute pre-meeting speaking time (parents as non-UFT members don't get to speak). In fact, UFT Secretary Howie Schoor who chairs the meeting gave people 18 minutes to speak yesterday. Howie has shown a lot of sensitivity and flexibility. EB meetings have (mostly) remained civil. I believe the fact that Mulgrew only shows up to give his report and then leaves has made these meetings more civil. But in response to the CPE1 parents and teachers yesterday, Mulgrew spent some time chatting with them before and after his report. Whether he will take action is up in the air but they were very happy to have some conversations with him. After the meeting Leroy Barr remained to talk to them for some time. A group of current and former CPE1 parents spoke before the meeting last night and were very effective. But one of the most unusual was a speech by a teacher from another school who worked under Garg when she was an assistant principal at Pan American HS and repeated a list of admin atrocities. She told me she has proof of every one and I hope to publish some of them. She told me she never speaks in public but once she heard stories about Garg as principal of CPE1 she felt she had to speak out. She had never expected Garg would rise to the level of principal. Before reading what Garg has been doing, she assumed Garg's actions were based on following orders by the horrible Pan American HS principal Minerva Zanca, who by the way is still working in the DOE as a guidance counselor. She said she had to speak out to stop people like Garg. By the way, at the SLT meeting, Garg said she worked for great Principals and learned a lot -- from Zanca she sure learned how to play the race card and divide people. Jun 10, 2016 - The U.S. Attorney announced a lawsuit against the city education ... and retaliation at Pan American International High School in Elmhurst. Jun 9, 2016 - A bombshell lawsuit, released Thursday, reveals the appalling ... teacher” at the Pan American International High School in Queens, New York. While Meier soared, Farina soured --- into a Joel Klein flunky. Does Farina hate Deb Meier for her success and national and international recognition over the same time period Farina was an active educator and yet Farina never received similar accolades? Or is it just that Farina can't stand the idea of democratic governance of a school? Then we hear that Farina knows full well how awful Monika Garg is but hates the parent activists so much she believes they (and their kids) must not be allowed to get away with winning this and must be punished. After all, what if other parent groups spring up? Even if Farina goes out on a legacy of forcing most of the parents out of CPE1 and turns it into a charter clone, those parents who remain in the public school system at other schools around the city may just bring their level of activism along with them. Unless you understand the unique culture of democratic decision-making at CPE1 over 40 years, the attack on the school by Farina and henchcrew seems to fall into the usual DOE attempts to drive out vet teachers. But there is something different going on here - it is the style of education at the school that is under attack. And maybe something personal. Deborah Meier has been having difficulty with her vision and is now dependent on voice activated devices for reading and writing. As a result an earlierresponse to the blog was incomplete. In early April, Deborah and I wrote a response to Kate Taylor’s article in the NY Times on the conflict at Central Park East 1 (“CPE1”). The letter was not published. Taylor’s article raised many of the right questions confronting the institution but failed to explore why there has been no constructive solution to address the continuing conflicts within the school community and restore the safe and supportive learning environment for children and adults, which had been the hallmark of the school. CPE1 was founded in 1974 as part of an East Harlem initiative to show what could be possible in what was at that time one of the poorest and educationally deprived communities in the city. The then District Superintendent, Anthony Alvarado, invited us to start a small, progressive and democratically governed school. Over the ensuing 30 years the school developed a national and international reputation for success in educating its children while maintaining a democratic culture. Faculty, staff, families and children all felt respected and heard even in times when internal differences or external policy changes challenged the integrity of the school’s core beliefs and highly developed practice. All important decisions were made collectively. One of the most notable features was the relationships that developed among staff, families and children, many of which last to this day. This continued and flourished long after Deborah left the school in 1985 under the leadership of the two principals who succeeded her. While many of the attributes of the school have been threatened over the last decade, a third principal, who was the choice of the school community, succeeded in supporting the school culture and mission until she left to form her new school based on the principles and practices of CPE1. The next principal who followed was also recommended by the school community but was not a strong enough leader to sustain and build on the mission of the school and the school began to erode. Three tenured teachers left the school at the end of her last year. Monika Garg was then appointed as the principal without the input or support of the school community. During the past two years with Ms. Garg as principal, the school’s mission has been totally undermined. Three more tenured teachers and one promising new teacher left the school at the end of last year. A community that was once built on trust, compassion, the power of ideas and democratic process of decision making has become too distracted by controversy to function as a united and safe learning community for children and adults alike. Unless the unstated intent of the recent failure to end the turmoil of these past few years has been to close CPE1 so the space could be used for other purposes, it’s clear that we now face a choice between either replacing the principal or replacing the students, families and the school’s mission. We have made efforts over the past two years to join with the DOE to identify leadership that would build on the foundation of the past and restore the school’s excellent educational and democratic principles and culture. We are disappointed by the resistance of the DOE to take the necessary steps to constructively resolve this unrelenting and destructive conflict at CPE1. I found this link on the Weekly update from The Great Lakes Center - which is a minefield of ed deform and very highly funded by Betsy DeVos. But I always find interesting stuff in it and here is one worth sharing as it faults Bush, Obama, Gates, etc - now the propaganda arm puts the fault at leftists when in fact it was the left that resisted the most -- see Susan Ohanian and George Schmidt in the 90s. And it was Leonie Haimson, not people on the right, who led the push back against data mining. So do read this with a skeptical eye. As part of the ongoing professional development at the school, the Division of Teaching and Learning will facilitate visits to other progressive education schools in the coming weeks for Principal Garg and staff members from the school to support new teaching practices and collaboration across schools... Laura Feijoo letter to CPE1 parents. No, Laura, there is nothing to learn from visits to other progressive schools which have progressive principals because CPE1 principal Monika Garg is not and will never be a progressive principal. Progressive principals do not bring up most of the staff on phony charges, do not lie to a parent, claiming the child was sexually molested by a teacher she wanted out because he signed a petition opposing her, etc. etc etc. Garg has spread so much poison in the school there is no way something can be worked out. What the DOE is going is stalling for time -- to hope enough of the parent and teacher activists end up leaving the school so as to tip it to the point where Garg can continue to rule. Now, what is the role of the UFT here? Not to defend the teachers but to work with the DOE to find a compromise. This will come up at tonight's Ex Bd meeting -- I'll blog more about this later but come on down if you want to be a witness. Thank you for the opportunity to meet and discuss how we can best work together to make CPE I successful as a united community. I will continue visits to the school with Superintendent Estrella or her designee during this school year. As part of the ongoing professional development at the school, the Division of Teaching and Learning will facilitate visits to other progressive education schools in the coming weeks for Principal Garg and staff members from the school to support new teaching practices and collaboration across schools. The Office of Student and Youth Development has arranged support to students including the School Climate Manager from the Manhattan Field Support Center (MFSC) will work closely with the school to assess school climate and culture and address any concerns. The Division of Family and Community Engagement (FACE) and the district office’s parent engagement team will target support to foster communication and collaboration with families by continuing to assess the needs of the community and devise a parent engagement plan with parent leaders to ensure consensus-driven and collaborative conversations during SLT and PA/PTA monthly meetings that lead to promising practices for Parent Teacher Conferences, workshops and 40-minute Tuesdays. FACE in collaboration with the district parent engagement team will host focused school walkthroughs with parents and staff to ensure parent voice is validated as we move towards ‎a more collaborative approach on instruction and social emotional well-being. FACE in collaboration with the district parent engagement will assist in the monitoring of parent emails/concerns to de-escalate and provide immediate response/support. FACE in collaboration with the district parent engagement will provide training to parent leaders on Chancellor’s Regulations A-660 and A-655. In collaboration with the school leader and teaching staff, the district office and the Manhattan Field Support Center (MFSC) will continue to provide instructional support through Pat Warner. We thank you for your time and energy to discuss with us your continued concerns and provide suggestions for how we can move forward together. Randi is a committed corporate liberal who has faith in the good intentions of corporate power brokers and profiteers and her ability to get them to do the right thing if only they give her a seat at the table. Here, I'm thinking back to the union's brief flirtation with Bill Gates or Randi's flights to Chicago to support Rahm's Infrastructure Trust or to London to sit in on Pearson board meetings ... If some WaPo ink is all Randi was after, all well and good. But if she's providing some union cover for DeVos in exchange for some credibility with the Trump administration, she's playing a fool's game. .....Mike Klonsky, Mike Klonsky: What Was Gained by Randi’s Visit with Betsy? Diane Ravitch won't openly criticize Randi but she does offer her platform for others to do so by posting Mike Klonsky's comments. Mike Klonsky: What Was Gained by Randi’s Visit with Betsy? You cannot turn a sow’s ear into a silk purse. I think Mike is too nice to Randi, who is providing cover for DeVos. But I never see Randi as playing a fool's game. She plays everyone else for fools. Her game is all about positioning -- "you see how reasonable and willing we are to deal - read - sell out my members -- What does Randi have to gain? Some feel a piece of the choice action - if you can't beat them join them. Maybe make a few bucks to cover the loss of union members to right to work. The union's $62M loan for 50 Broadway helps them morph into real estate. Become an agent of teacher training. They failed at the charter school approach but maybe there are other options out there. gets us closer to the root. And the ruling class are counting on “right to work” as a way to capitalize upon union members’ legitimate discontent with their union leadership and its willingness to compromise for almost 2 decades. Beware, because this is a perfect storm. These are American unions, not European ones. I fear that is might be better to have union power and prominence – albeit horribly corrupt as Weingarten – than to have mere patches of unionism throughout the workforce. Which brings me to my own contemplation: Would right to work status help create newer, better unions though sheer demand and market reactive forces (ones that would hang Weingarten in public and derive democratically structured unions) or is it just better to have a closed shop? Teacher turnover means nothing to Weingarten, as she gets her union dues paid no matter who fills the position. Yet union dues keep unions more than afloat to do what they are supposed to do: fight for educators, children, and families. The United States is such an amazing country . . . it shines SO more brightly than Norway in many aspects. Yet, Weingarten et al are an example of how deplorable the culture here really can get to be. She’s not a real union leader, nor is her governance militant, forceful, or effective. It’s just there to keep her $500,000+/year salary in tact. She is a master triangulator . . . Either that, or Amerians are not paying attention to her governence. Something tells me that this is not my European lens talking here, but that more than 75% of Americans would agree about the corruption behind the AFT, NEA, and UFT. I could be wrong. David Baiz, the award-winning teacher who was handpicked by Global Tech’s founding principal to become her successor. Do you see a pattern here, a pattern to put in closer principals with a blueprint to drive out veteran teachers -- a pattern the UFT refuses to acknowledge? Despite the turmoil, several teachers at the school, which is also known for low teacher turnover—not a single teacher left last year—are clearly reluctant to leave. ... Several other teachers, though, are updating their resumes. Thanks to Estrella’s decision to push Baiz out early, they have the entire upcoming so-called open-market period to look for new jobs within the department. Yes, Virginia, Estrella is the very same Supt. who supports CPE1 Prinipal Monika Garg, branded the worst principal in NYC, but has inserted herself into Global Tech to bring in yet another one of her buddies as principal. ....it turns out that she is moving one of her lieutenants, Ellen Johnson Torres, a teacher evaluation and development coach, into the job temporarily—another sign, education sources say, that the school will be merged with P.S. 7. Global Tech also traces its lineage to the era of collaboration and teacher-leaders that flourished in District 4 under Tony Alvarado and Debbie Meier, beginning in the 1970s, and was, to a limited degree, revived under Bloomberg. That legacy of grassroots leadership and collaboration, which was intended to foster creativity and innovation, is now widely seen as endangered—not just at Global Tech, but throughout the city. It is clear that mayoral control, which the UFT supports, must be gone. Global Tech has known for nearly two years that its days might be numbered. Soon after Baiz become principal, in 2013, he learned that the superintendent was considering merging Global Tech, which has never had more than about 175 students, with P.S. 7, the K-8 school that shares its building. Russell and other friends of Global Tech within the education department urged Baiz to fight for the school; in what proved a short-lived victory, the principal of P.S. 7 moved to a job at DOE headquarters, and Estrella tapped Pryce-Harvey, Global Tech’s assistant principal and Baiz’s friend, to be the interim-acting principal. Andrea Gabor gets to the crust of what is happening all over the city as the supposedly progressive de Blasio and his agent Farina, makes war on schools where teachers and parents have played a major role. last summer, Baiz learned that Estrella had turned down his tenure application; under education department rules, there was a good chance that he would lose his principalship. A few months later she overruled his tenure recommendation for a respected Global Tech teacher—a Math for America master teacher for science who also holds a special-education certification. Getting rid of Baiz appears to be a first step in consolidating the two schools in the East 120th Street building they share, under a principal hand-picked by Estrella. Pryce-Harvey will retire from P.S. 7 this year; her successor has already been chosen. Memo from the RTC: How Many Chorus Line Members Can You Fit on the Head of a Pin? 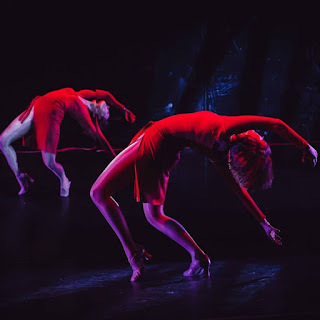 For someone who didn’t care for A Chorus Line when I first saw the original on Broadway, I keep asking myself why I liked the Rockaway Theatre Company production so much better. Of course the acting, singing and most importantly, the dancing is professional level – that’s a given at the RTC. But I also think it is the intimacy of the Post theater compared to big Broadway houses where you don’t get to see the actors tell their stories up close. Anyway, I went back to tape the final show on Saturday night, this time from a somewhat precarious perch sitting atop the sound booth, but oh what a view. I figured the cast might be a bit tired after doing a matinee but this performance was as top notch as the previous three I had seen. Last week I went through as many of the vast cast as I could before running out of my allotted word count and want to continue in this final column on the show. Bay Ridge’s John Panepinto (Greg), who brings his signing, dancing and acting chops to almost every show at the RTC, makes a distinct impression with a funky costume and a noticeable dialect. Erech Holder-Hetmeyer (Ritchie), a Murrow HS grad a few years ago who debuted at the RTC last year in La Cage as the whip bearing Cagelle, is fast becoming an RTC favorite as he brings a 4th dimension to acting, singing and amazing dancing with his athleticism. Erech and John will be joining the cast of The Producers this summer and John is also playing a major role in the upcoming Rumors opening May 19 and playing for only two weekends. Adding newcomers to the RTC to casts has become a staple and renews the talent pool. Chloe Carlston (Maggie) adds a big voice while Avital Asuleen (Sheila) captures the stage with her sassy performance. Nic Anthony Calabro (Mike) came all the way from Westchester to perform in this street smart role while Mai Odaira (Connie) came from even further away – Saitama, Japan, the third Japanese native to work with the RTC. Ashley Ann Jones (Judy) comes from Missouri (I think) and impresses in the first minute of the show with her ditzy performance. Ensemble cast members playing the first dancers cut at the beginning of the show (Dante Rei, Jessica Mintzes, Alex Stabiner, Samantha Braga, Matt Leonen) joined backstage pit singers Jodee Timpone and Steven Wagner to add voice to the dancers singing on stage. At the very end of the show the entire stage lights up and the audience breaks out into cheers, not realizing they are applauding RTC lighting guru Andrew Woodbridge. Managing all the sound coming from all the remote mics over the past year has been local resident Daniel Fay who is a major find for the RTC. He works with RTC jack of all trades Rich Louis-Pierre who also plays bass in the band. Rich is one of the major architects of the RTC experience. As usual, Producer Susan Jasper delivers what actors and directors need in her very special way. Susan also delivered the news to me on Saturday night that I was playing the judge in the Producers this summer. “Do you think you can manage four lines,” she said? I better start studying now. And once again, thanks to Directors Susan Corning and David Risley, musical director Jeff Arzberger and choreographer Nicola DePierro Nellen for bringing this great show to Rockaway. The cast party began soon after the show ended Saturday night with great food. Antonio Oliveri, veteran actor at the RTC at the tender age of 20, who played Al in the show and did that great duet with Gabby Mangano, set up is DJ kit on stage and all those “tired” dancers despite doing two shows that day were still going when I left the theater at 1 AM. The last word: Congratulations to one of RTC’s stellar performers Renee Steadman on her April 10 wedding, the afternoon after the show closed, an event many of the RTC company attended – those that could still stand up. Also congrats to her mom Denise Eversley, who put up with my dancing with her in La Cage and her sister Jannicke Steadman. The entire family will be in the cast of The Producers this summer. When Norm is not practicing his 4 lines so Susan doesn’t yell at him, he blogs at ednotesonline.com. Parent and teacher reps met for hours yesterday with the Chancellor's "team" which included Phil Weinberg, Laura Feijoo, Louis Herrera, Yolanda Torres. A group of supporters sat on the steps of Tweed as a show of support. A 120 page binder listing Garg transgressions, including violating numerous chancellor regs, was handed over. Below is my column this week, a brief attempt to explain the CPE1 situation to the Rockaway community in a nutshell. Parents support UFT Chapter leader Marilyn Martinez at her hearing. When I was a young teacher dreaming about teaching in a child-centered progressive school (which I never got to do), the model school set up in East Harlem (District 4) in the mid-1970s by Debbie Meier, one of the gods of teaching in this country for 50 years, was a magnet for teachers and parents looking for alternative ways of working with kids that were far from the mainstream. Central Park East (CPE) became a nationwide model, offering elementary school children a private school model of education and making it available to parents who did not have the means to send their kids to elite schools. A major component of such education in Debbie’s vision was a non-segregated and diverse population that would be roughly one third black, Latino and white in a neighborhood where such an option was not available. Call it the one of the early concepts of choice within a public school system which is so pushed by the charter school lobby. Debbie won a McArthur Genius Award for her ground breaking work in New York and in Boston. The CPE model was the furthest thing from today’s no excuses, test-driven, anti-union, rigid, corporate as opposed to student-driven charter factory floor concepts. People from all over the nation came to study the practices in the school, which involved student choices in what they would learn, in addition to a wide degree of latitude for teachers; a democratically run school where major decisions on hiring and practices were decided jointly by teachers and administrators with a lot of parent input. Principals sometimes referred to themselves as “head teachers.” The closest model in Brooklyn is the Brooklyn New School in Park Slope. The original CPE, now known as CPE1, was replicated into a CPE 2 and then a CPE middle and high school, though over the time the practices diverged in the different schools. CPE1 was the school that retained many of the original constructs, one of which is that testing is the least important aspect of a rich education in an elementary school especially since our youngest children grow at different rates intellectually and emotionally and branding kids based on test scores at such an early age is debilitating. Thus most parents who choose to send their kids – in fact, fight to send their kids – to the few progressive public schools there are have been opting out of taking tests once they became the measure of success and drowned out all the other factors of what makes for a good school and a good education. In the past year and a half, CPE1 progressive education, the teaching staff and the majority of parents have come under attack by the Department of Education with the installation of a principal, Monika Garg, who has no experience in progressive education, was a high school administrator with little or no knowledge of how elementary schools work, but especially of how CPE1 has operated through its history. Garg has gone after experienced and tenured teachers which culminated in the recent removal of chapter leader Marilyn Martinez, which has galvanized an already active parent group that has been fighting back against Garg and the DOE. At Martinez’ hearings, between 50 and 100 parents showed up in support. 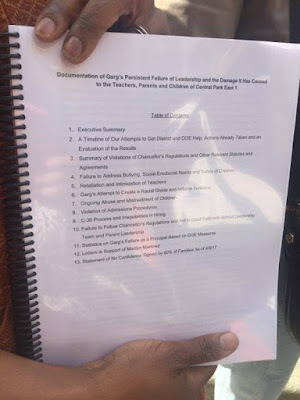 Last week, after a massively attended School Leadership Team (SLT) meeting that attracted over a hundred people, including State Senator Bill Perkins and former City Councilman Robert Jackson, the parents read a statement calling on Garg to resign. Garg read her own statement refusing to resign saying that she answers only to her superiors, the Superintendent Alexander Estrella and Chancellor Farina. In our system the people running schools do not have to answer to the stakeholders – the parents, teachers, or the general community. Since the mayor was given control over the schools in this city in 2002, the arrogance of whoever is running the system, no matter what party, has only grown worse. After the SLT meeting, parents at CPE1 were fed up enough to refuse to leave the auditorium and engaged in a sleep-in, not emerging until 9 a.m. the next morning. I was there to cover the story for my blog and The Wave, along with the NY Times, Wall St. Journal, WCBS, WNBC, The Daily News and other press. I have been the only one embedded with the parents and teachers since I first met with them a year ago. Parent leaders of CPE1 are asking anyone available today at 10:45 to come to Tweed to support the parents and teachers before they go in for the meeting. Did de Blasio tell Farina to get a meeting with parents and teachers of CPE1? Hell yes. I heard one very liberal parent say last Friday that she would rather vote for a Republican than de Blasio unless the CPE1 situation was resolved. After over a year of agitating at PEP meetings, rallies at Tweed and organizing the parents and community to call for the removal of Monika Garg, it took the sit-in at the auditorium following an SLT meeting last Thursday/Friday overnight and a phone call from a parent raising the issue with de Blasio on the Brian Lehrer show to get the DOE to invite parents and teachers (two of each) to Tweed today for an 11 AM meeting. While one of the teachers should be Chapter Leader Marilyn Martinez, still banned from the school until the outcome of her hearing, the DOE is apparently pushing back on allowing her into Tweed. The story is that the UFT supposedly tried to get permission and at this point has not been successful. This is clearly a show by the DOE to give some cover to de Blasio - lame duck Farina is irrelevant at this point - and we have seen the focus shifted to de Blasio whose base is being undermined by stories like this. While he doesn't face much of a challenge, the number of votes he gets make a difference and given the Trump win, anything is possible. If my local city councilman, Republican Erich Ulrich, had run I would have voted for him, that is how annoyed I am at deB over ed policies. Now people are not going in with their eyes closed and understand this is a PR stunt of sorts and that the idea that Garg will be gone is not in the DOE game plan. The hostility is at such a high pitch, that there is no bridging the gap. How can teachers who have been under attack work under Garg? How can parents whose children have been called in and questioned in attempts to "get" something on their teachers without parent permission trust Garg? So the outcome will be a promise to monitor the situation, etc, etc and to try to split the parents and make the most militant look unreasonable. Now we do know that about a dozen parents and some teachers support Garg and the DOE is hoping to woo people over to that position and give those supporters a wedge. To me that is what this meeting is about. Stall until Garg can get a new batch of parents into the school to try to shift the balance of power -- and she has the ability to do that by manipulating the admission process. (I'll have more on how admission to CPE1 has worked over the years -- CPE 1 had the biggest waiting list per student of any school in the city according to some parents - before Garg, that is. What next for parents? More sit-ins, boycotts, hunger strikes? Everything is on the table. Keep up to date with the CPE1 story at: savecpe1.org and sign their petition. Can You Live Blog from A Dead NYSUT?